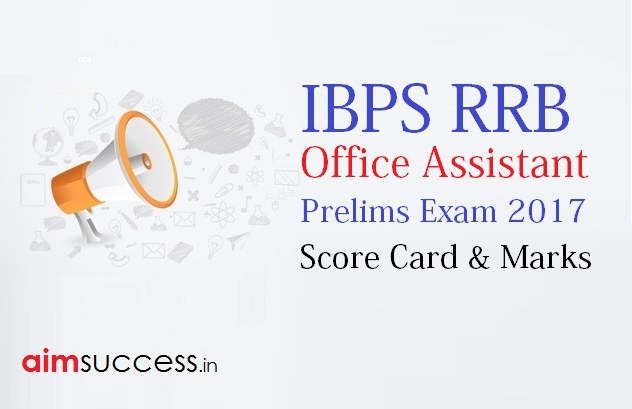 IBPS RRB Office Assistant Prelims 2017 Score Card & Marks: Institute of Banking Personnel Selection (IBPS) is going to release the Score Card of IBPS RRB-VI Office Assistant of the candidates who had appeared for IBPS CWE RRB-VI Pre Exam. IBPS is stating in their Website that “SCORE DISPLAY WILL START BY LATE EVENING TODAY“. Candidates who appeared for the Preliminary exam of IBPS RRB Clerk 2017 can check their marks obtained in the exam as well as the cutoff score of IBPS RRB Office Assistant exam today. IBPS RRB Office Assistant Score Card to be released by today evening, Click here to check! Fill your registration number or roll number and DOB or Password. Alternatively, you can go to the IBPS Official Website & follow the link given for results. Don’t forget to let us know in the comments if you made it!!! Stay tuned with us. We will update as soon as IBPS releases the Score Card.